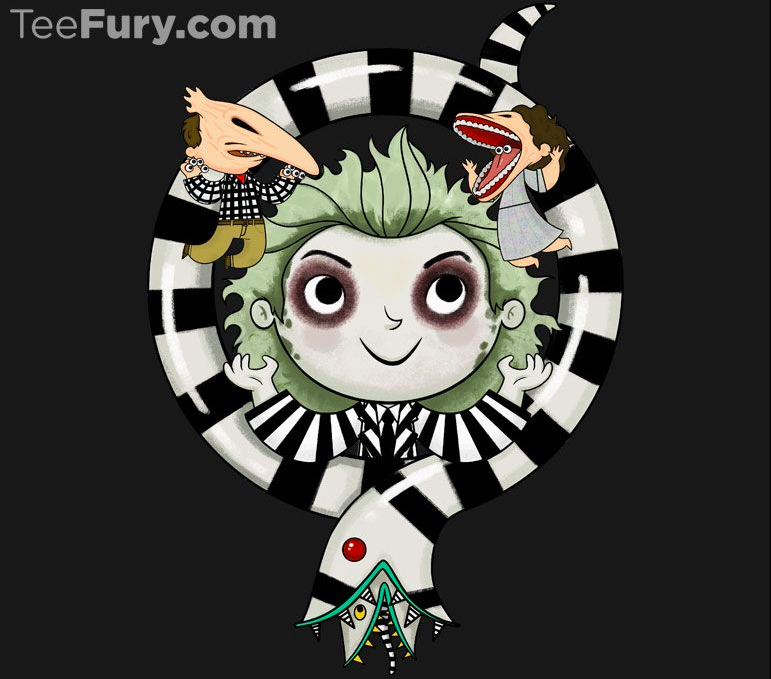 The Horror Honeys: TEEFURY: Limited Edition Horror Tees "Third Time's the Charm"
TEEFURY: Limited Edition Horror Tees "Third Time's the Charm"
Beetlejuice, Beetlejuice... Bee... gimmee the damn shirt! We don't know how TeeFury does it, but it seems like they can't control themselves when it comes to making frigging adorable horror tees! This week, we are treated to Beetlejuice-inspired piece that features our favorite bio-exorcist, a few sand worms, and the Maitlands at their spookiest. So we don't know about you, but we may be ordering one... or three... by the end of this sentence!